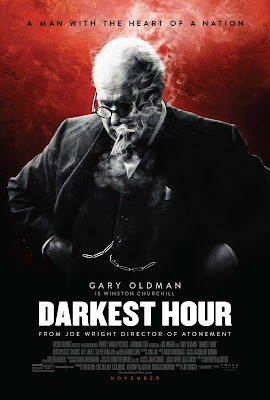 Enter For A Chance To Win Passes To See DARKEST HOUR on December 12th at 7:00 PM in Houston. During the early days of World War II, with the fall of France imminent, Britain faces its darkest hour as the threat of invasion looms. As the seemingly unstoppable Nazi forces advance, and with the Allied army cornered on the beaches of Dunkirk, the fate of Western Europe hangs on the leadership of the newly-appointed British Prime Minister Winston Churchill (Academy Award nominee Gary Oldman). While maneuvering around his political rivals, he must confront the ultimate choice: negotiate with Hitler and save the British people at a terrible cost or rally the nation and fight on against incredible odds. Directed by Joe Wright, DARKEST HOUR is the dramatic and inspiring story of four weeks in 1940 during which Churchill’s courage to lead changed the course of world history.